We call the act of choosing horses to bet on “handicapping.” Good handicapping is important when you are at a live racetrack, and it is important when you are betting horses online. The only downside of handicapping is that it can be tedious work. Sometimes, it just takes all the fun out of race betting. What if there was a simpler way to pick winners? A mathematical approach to horse racing just might offer some upside for those who want to practice EZ Horse Betting. Ever since the dawn of handicapping, race bettors have been looking for shortcuts. Almost all of them would like a done-for-you, easy to master system that never fails. No such system exists, of course, but some systems do a pretty good job of picking the occasional winner. The goal of all systems is to break down the factors of handicapping and arrive at a consensus on which horse is most likely to win its race. Handicapping is very subjective. It calls for intuitive leaps on the part of bettors. They can study all of the information in the Daily Racing Form and other publications, but at the end of the day they must still choose one horse over another. Some races are very competitive. The handicapper might be torn between two choices, and is unable to decide. What handicappers search for like the the Knights Templar searched for the Holy Grail is a system which assigns a numerical value to horses in a race. In other words, they want to examine certain data and be able to quantify a horse’s ability with a single number. If they can do that, and the numbers are accurate , it would be very easy to identify a winner. Just look for the horse with the highest (or lowest, if you are doing it that way) number and bet on them. Believe it or not, a company called Thorograph has made quite a living doing exactly that for many years. Thorograph uses sophisticated computer programs to assign numbers to every horse in a race. All the bettor needs to do is buy a copy of Thorograph for that day’s race card, look at the numbers, and select a horse. As you might imagine, this kind of information is not cheap. These programs are very expensive, and they don’t work all the time. But some players have had amazing success with Thorograph. Let’s take a look at how mathematics can be used to create an effective and profitable system of your own. Everything about betting race horses involves numbers. There are numbers on the horses. The are speed figures. There are distances. Most importantly, there are statistics. Some statistics in horse racing hold true year after year. An example is that favorites win one out of every three races. Mathematics is the science behind statistical analysis. Quite a few years ago a guy named Bill James introduced the concept of what came to be called Sabremetrics. He literally changed the way the game of baseball was played. In horse racing, statistics can also become a game-changer for you and the way you bet horse at an online racebook. Laying the groundwork for a mathematical horse race betting system means first making some general observances and turning those observances into rules. Those rules will then become guiding beacons as you use your system. You will not deviate from them. You already know that favorites on the track do not win their fair share of races. Therefore, the first rule of the mathematical system for race horse betting is to eliminate short priced horses as betting choices. Notice we did not say eliminate the favorite, only horses less than 3-1 on the tote board. If you can find a favorite that is 3-1 or better and you think the horse deserves a bet, by all means take a shot. Think about this scenario. If we only bet favorites, we will win one race out of three on average. That means, betting two dollars at even money (1-1) we would spend $6.00 in wagers and lose $4.00 of it before getting $4.00 in return for an overall loss of $2.00. Now, we might get lucky and have a favorite that is 2-1 in the sequence, but we can’t count on that can we? Now, by the same token, let’s say we are only betting horses at 3-1 with our system. If we can develop our handicapping skills to get just one out of every three races correct, we will fare better than we would betting favorites. We would spend $6.00 in wagers. We would lose $4.00. Our return on the 3-1 horse would be $6.00 plus the $2.00 we wagered, so we receive back $8.00. In other words, we make a profit. We did the exact same thing with one exception. We restricted our bets to horses that were offered at 3-1 or better. That’s all. Picking a horse to win at 3-1 is no harder than picking a favorite to win. You still have to handicap the race. But math is the deciding factor here. Math shows that you will stand a better chance of making a profit when you only bet on horses at 3-1 or better. Show betting is one of the worst mistakes a bettor can make. The return on a show bet is usually so horribly small that the bettor must win many show bets in a row to make a profit. Therefore, the second rule of a mathematical system is to never make a show bet. Show bets can be tempting because people have the misconception that they are easy bets to win. This is not true. Just because a horse will win the bet if it finishes no worse than third doesn’t make the race less competitive or the horse more talented. The horse still has to run and it still has to beat other horses. At least some of the other horses. Ask yourself this. If you believe a horse is good enough to run third, why do you not believe he is good enough to win? Maybe you have missed something in your handicapping. This strikes at the heart of the problem with show betting. Let’s say that you like a horse who has odds of 6-1 as a show bet. Something just tells you that this horse is capable of running third. As you watch the race unfold, run third he does. Then second. Then right past them all to win. At odds of 6-1. Your show bet might have returned $3.00. A win bet on the same horse would return $36. The big lesson to learn here is that you must always be conscious of price. You must always know the odds you are getting. Don’t waste your bankroll on a show bet when you could be spending that money somewhere else with a better chance to win. You have an idea now of how we are arriving at the rules for a mathematical system. You can easily do the same thing on your own, and the results can be spectacular. I Will Not Bet on Jockey Jones When the Track is Muddy. Before you tart scoffing, there is real power in mathematics and statistics. Did you know that in more than 100 runnings of the Kentucky Derby, only one horse that was unraced as a two-year-old has won the event. All other runnings were won by horses that raced at two years of age. So, let us ask you a question. Would you rather bet on something that happens one time in a hundred, or would you like to bet on something that happens 99 times out of 100? Pretty easy answer. Start observing the statistics at your local racing circuit, and you might be surprised to find a bet or two. Statistics are important in many areas of life. Don’t neglect them when it comes to betting on race horses. 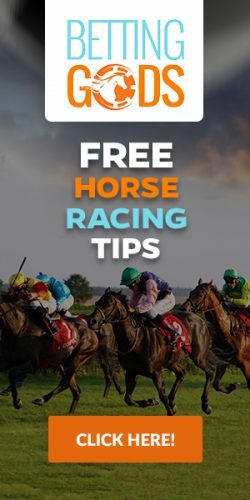 By the way, you can start betting them right now from your computer, phone, or tablet when you open an account with our recommended online racebook.